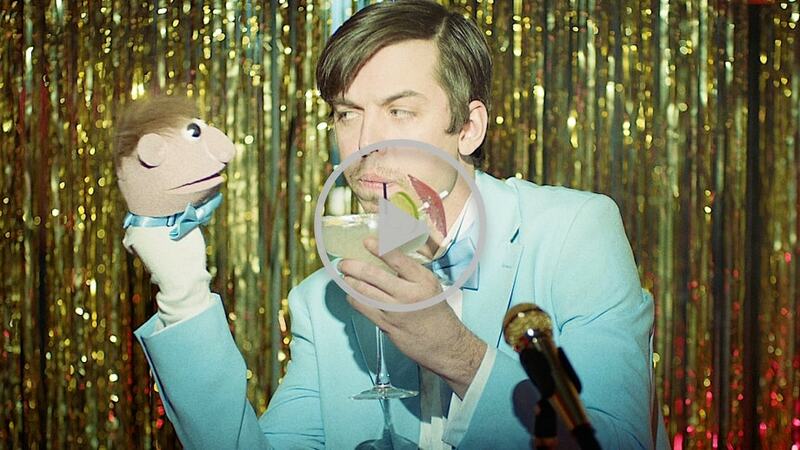 In anticipation of his fifth studio album Running Wild set for release this Friday, August 25th on Rhymesayers Entertainment, Seattle rapper and producer Grieves shares a new track/video for What It Dew. The song is incredibly catchy and groovy. It's laid over electric guitar textures, pulsating beats, and an insistent bassline. Directed by HELICAL (Carlos Cruz + Thai M. Tran), the video pokes fun at his more serious subject matter, In the video, Grieves finds himself trapped in purgatory - forced to entertain a crummy dive bar in perpetuity where the patrons appear to be the living embodiments of our vices, the seven deadly sins. Ultimately, we see Grieves make a good time out of a bad situation. He comments, Not everything is a crisis. Some things are simple and easy. Feel good and let go with this one! Running Wild is a 15-track collection recorded in Seattle and Stockholm alongside Swedish producer Chords (Jens Eric Resch Thomason). Featuring guest appearances from Fearce Vill, Romaro Franceswa, Paris Alexa, and Davey Jones, the album features elements one might expect to find on a classic soul record, such as rich guitar tones and humming organs, mixed with modern and experimental components. Watch a track-by-track rundown with Grieves below!